LATEST: Prague's Easter markets run April 6 - April 28 2019. They are an easy & pleasant walk from the apartment. A couple of Czech beers, some sparkling wine, water, tea, coffee and milk are provided to welcome you. Most Romantic apartment Prague offers comfort and magic views, major attractions and wonderful restaurants all on your door step. Gaslit and winding cobbled streets of Mala Strana, a few steps from Karlov Most (Charles Bridge) lead you to the house, built in 1570. The 449 year old house dates from a few years after what is believed to be the date of Shakespeare's birth. Through the ancient door, up three flights of steps (Please Note - no lift) , you enter the apartment - 70m2 (754 sq ft). Parquet floors, original beamed ceilings and fairy tale views of Charles Bridge, the City Spires and the River Vltava. Comfortable and tasteful furnishings, sympathetic restoration. Two well separated bedrooms each adjoining another room between which is central hallway ensuring good space & privacy for up to two couples or a couple and two children. Well-equipped modernised kitchen (dishwasher, oven, hob, microwave, kettle, toaster, coffee machine). Full bathroom with bath/shower overhead, washer and dryer, hairdryer. The house stands in the very heart of Mala Strana, the oldest and most sophisticated quarter of Prague. This is a family house so is unsuitable for party groups. The building and the area are carefully controlled by the Department of Historic Buildings. Please note: Prague is beginning to crack down on unauthorised rental apartments, of which there are many. My apartment is fully legal – with registered Tourist licence. All income and tourist taxes are paid. So, by choosing my apartment you will have peace of mind. I have been listed for over 11 years on this site and have been listed for many years elsewhere, without a single problem - Please see my top rated reviews. Satellite television with approximately 20 English language channels. DVD player and a selection of DVD films are available in the apartment. Telephone on which you can receive although not make international calls. Use for free local calls. Very good collection of Prague guide books, maps & attraction leaflets. This is a delightful apartment which provides a great base from which to enjoy Prague. 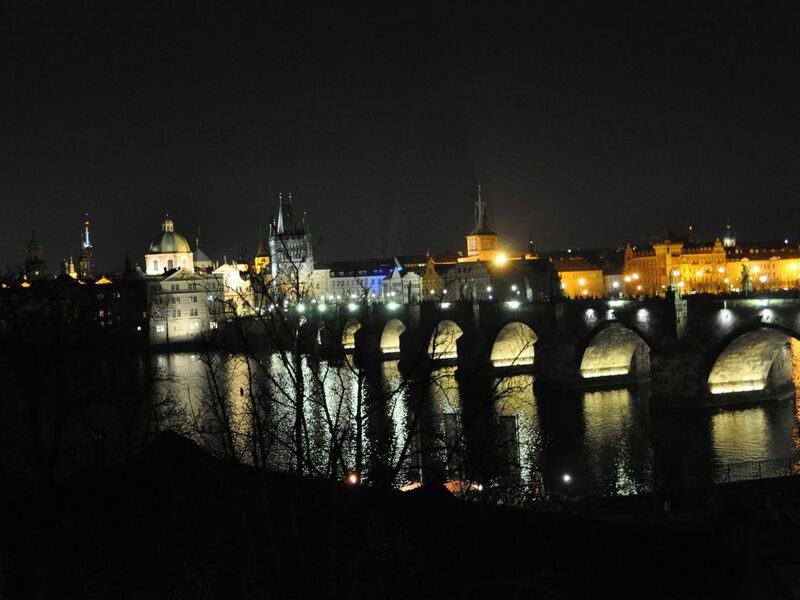 As an Irish woman living very happily here in Prague for many years, I can honestly say that this is probably the most beautiful and relaxed city in Europe and I believe that a stay in my Prague Most Romantic apartment provides a memorable experience of life in the heart of this magical city. I am an Irish woman living happily in Prague for many years, and now largely retired after 7 grueling but fascinating years working in HR in Moscow. Having visited most of Europe's capitals, I can honestly say that, in my opinion, Prague is the most delightful. This is True Bohemia. We lived very happily in the rental apartment for several years before moving to the other side of the river. My many satisfied guests say that the apartment shows that it has been lived in by the owner as it has the care for detail, often lacking. This is a house built a few years after the birth of William Shakespeare and yet the apartment has all the modern comforts you could want. Automatic washing machine and clothes dryer in concealed area. Clothes rack and Heated towel rail. Large & small towels supplied. Clothes dryer in laundry area of bathroom. Also clothes horse. Rates include ALL linen, taxes and fees and cleaning on departure and are the cost of the apartment per night. NO per person add-ons and NO other hidden extras. Bookings of less than 3 nights may be possible where gaps in calendar exist. Please enquire. Meeting service and transport from/to the airport or train station can be arranged.